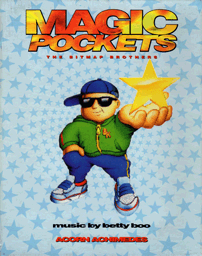 To complete Magic Pockets you must successfully find all of the Bitmap Kids Toys and reach home, there are 26 levels spread across 4 worlds, The Caves, The Jungle, The Mountains and The Lakes. Tried this this evening with latest RPCEmu on HostFS with RISC OS 3.71 ROMS and ADFFS 0.20. From a clean boot I get an abort on data transfer at &02207F24. md0u80c9 wrote: Tried this this evening with latest RPCEmu on HostFS with RISC OS 3.71 ROMS and ADFFS 0.20. 2. Boot the floppy via the ADFFS filer and let me know the abort address if different from the one above. That will help be pin down the instructions causing the abort. Just tried to refetch the archive given the changes to ADFFS and on trying to retrieve 'Discs' from the Magic Pockets archive I get a 'bad archive' error from SparkFS. Redownloaded with the same results. Is the archive corrupt? md0u80c9 wrote: Is the archive corrupt? All the archives were corrupt, I've reuploaded them again and as a precaution all the separate floppy images as well. I'm have deja-vu as this happened a few weeks back. 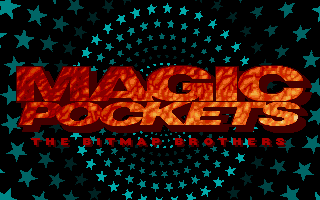 Hello there, just wanted to register to mention that while the reuploading of the games has fixed nearly all the archives (I downloaded the set both times and did comparison checks), the Magic Pockets zip still appears to be broken (as is the regular Chuck Rock zip). I'm not sure if it's just a flaky server issue or whatever, but yeah, thought I'd let Jon know. 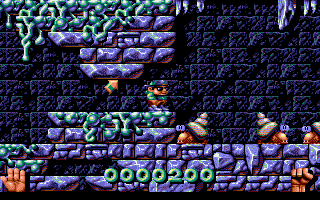 MarzSyndrome wrote: Magic Pockets zip still appears to be broken (as is the regular Chuck Rock zip). I'm not sure if it's just a flaky server issue or whatever, but yeah, thought I'd let Jon know. They're all corrupt again, this is starting to seriously annoy me now. I'll have to pull the site until I can either find out why its happening or find another solution. That I know of, its only affecting ZIP files otherwise this site would see corruption as well - it's all on the same server and drive. They're not *all* corrupt! Like I said, I downloaded the complete set two times - before the re-upload and after it - and did checksum comparisons and tested all the zips. From my tests, all zips apart from Magic Pockets and Chuck Rock extracted without issue (with WinRAR at least), and the checksums on the individual JFDs matched those in the zips, since the re-upload. Aside from that though, Magic Pockets and Chuck Rock are now extractable again. Thanks! I picked three games at random this morning, of those both Gods and Fire & Ice ZIP's were corrupt although the JFD's were fine. Based on that it's probably fair to presume all ZIP's are potentially corrupt!